We’re delighted to formally introduce ourselves and give you a little bit of background on our company. One of the oldest Natural Cosmetic Brands in Germany, this family-run company began when, in 1900, two pharmacists living in the idyllic area of Thuringia had a brilliant idea: “to create a new personal care formula inspired from the heart of nature.” Little did they know that this would result in a global beauty product success story. Otto and Hedwig Knig officially founded Herbacin in Eisenach, Germany, in 1905. Early on, they created a distinctive brand image that is still the foundation of Herbacin today. It pays homage to deep green forests and flowering meadows where the Herbacin brand had its roots. Long before natural cosmetics became popular, Herbacin products were known and sought after for their quality and efficacy. 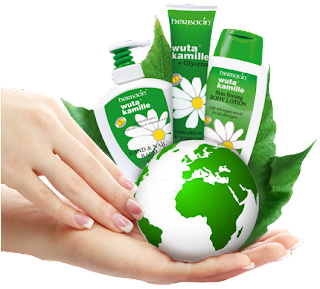 Now,the brand is renowned as a natural care program for face, body and hair.. All of our products are researched, developed, and produced at Herbacin’s own facilities and laboratories in Germany. “Made In Germany,” Still Stands For Quality. And with good reason. We use only carefully selected natural ingredients from certified organic cultivations. In addition, we develop and produce locally in Wutha-Farnroda, in the heart of a nature reserve in beautiful Thuringia. It’s a lovely place to visit and you can find the Herbacin “green” heritage products, together with our full line and the Waldmoos brand at our signature Herbacin store in Eisenach. in two cities: Eisenach and Erfurt.